The Australian medical cannabis industry is growing rapidly, and cannabis-related businesses are starting to look to intellectual property rights to secure a competitive advantage. 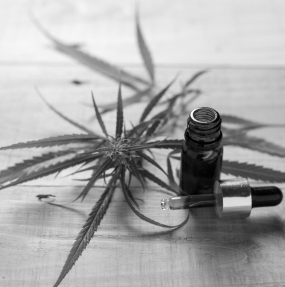 This article discusses the history of medicinal cannabis, the Australian market and the types of IP that can be utilised. Cannabis has been cultivated for thousands of years to produce fibre and for various medicinal uses. Records of its use date back as far as 2737 BC, when Emperor Shen Neng of China was said to have used it for the treatment of various medical conditions, and by the mid-19th Century, cannabis plant extracts were mentioned in the British and US Pharmacopoeia. Later on, fears in relation to the wanton use of the plant as a recreational drug led to strict laws being implemented against its use. In recent years however, international sentiment has been rapidly changing as strong evidence of the medical efficacy of chemical compounds extracted from the plant has been accumulating. As a result, many major jurisdictions including the USA, Germany, the UK, Canada, Turkey and Australia have broadly legislated in favour of legalising cannabis for various medical purposes. Cannabis extracts are now widely recognised for their potential in the treatment of chronic pain, Crohn’s disease, sickness related to cancer medication, spasticity related to multiple sclerosis, Alzheimer’s disease and many other conditions. The plant contains over 400 unique chemical compounds, many of which are known to interact with specific receptors in the human body. Of these compounds, tetrahydrocannabinol (THC) and Cannabidiol (CBD) are currently of most interest to researchers. In much of Europe, Mexico and North America, two drugs containing synthetic THC, Dronabinol (Solvay Pharmaceuticals) and Nabilone (Valeant Pharmaceuticals International), are currently approved for medical use as anti-emetics. Dronabinol and Nabilone also ease chronic pain and have been used to increase appetite in patients suffering from AIDS. The Multiple Sclerosis drug Nabiximols (GW Pharmaceuticals) has also been made available on prescription in several major jurisdictions. Nabiximols is formulated from purely non- synthetic plant- derived cannabinoids, and is the first such medicine to receive regulatory approval. In light of the rapid global legislative and regulatory changes, the outlook for the market potential of medicinal cannabis is vast, with many analysts expecting the global medicinal cannabis market to reach $55.8 billion by 2025. The global hemp fibre market for clothing and cosmetic products, which analysts expect will rise to $10.6 billion by 2025, should also not be forgotten. The largest player in the sector is currently Canada, with an industry worth over $6.2 billion. However, the United States is expected to be the world’s most lucrative market going forwards, and acceptance of medical cannabis in Europe is also growing rapidly. Against this kind of background, it is easy to see that investment in this field is set to grow exponentially in the coming years. In 2017, the Federal Government of Australia allowed the import and sale of medicinal cannabis products. Today, the Australian medical cannabis industry is worth around $18 million, and as of early 2018, there were 19 companies listed on the ASX involved in the field. However, many experts predict that the industry will explode into a multi-billion-dollar market over the next 10 years, especially since the Government has recently made clear its plans to make Australia a major player in the medicinal cannabis export market. Although it is still a complicated procedure in Australia to obtain a licence to grow and export cannabis-related products, this looks set to change in line with the sentiment of other leading markets. Australia would also face challenges in relation to export distance and logistics, but has world class facilities for the production and testing of medicinal cannabis that should ensure its potential is not overlooked by investors. Indeed, Australia is positioning itself to be to be an exporter of premium grade product to overcome these issues, mirroring its position in other sectors such as the wine industry. In Australia, cannabis-related products and the plants they are obtained from are eligible for protection by a range of IP rights. In particular, both patents and plant breeder’s rights may be held simultaneously for cannabis plants when the requirements discussed below are met. Under Australian law, subject matter relating to plants is eligible for patent protection, only if it provides a practical solution to a technical problem and meets the usual patentability requirements. To be eligible, the subject matter must be novel and involve an inventive step, and must have involved the technical intervention of a person in its development. The specification must enable a person skilled in the art to reproduce the subject matter, which may require the deposit of plant reproductive material at a recognised depositary prior to filing the application. Providing the above requirements are met, Australian patent legislation provides exclusive rights for up to 20 years from the application filing date in relation to plants per se or any part thereof, including reproductive material, genetic material, seeds, cells, or harvested material. Products derived from a qualifying plant including oils, fruits and pharmaceutical compounds are also eligible for protection as are methods and uses involving plant-based subject matter, such as breeding methods, tissue culture or transgenic methods and plants produced therefrom. Plant Breeder’s Rights (PBR) are also available for plant varieties in Australia, providing that the application is filed within 12 months of any commercial exploitation in Australia, or within four years (for most varieties; six years for trees or vines) of commercial exploitation overseas. Thus, PBR protection may still be available for a plant variety following commercial exploitation. To be eligible for protection, a new plant variety must be distinct from other known varieties by at least one or more characteristics. These characteristics must be uniform across a tested batch of the variety and must be stable over multiple generations. In order to establish distinctiveness, uniformity and stability (DUS), it is necessary to engage the services of an accredited “Qualified Person”, who is an expert in testing new plant varieties and can certify DUS before the Plant Breeder’s Rights Office. Shelston IP has in-house Qualified Persons who can assist you with any aspect of a PBR application. Australian plant breeder’s rights legislation provides exclusive rights over the production or reproduction, sale, conditioning for sale, importation or exportation of propagating material of the protected variety. In certain circumstances, harvested material and essentially derived varieties may also be covered under the Act. Importantly, plant breeder’s rights offer a longer term of protection than patent rights. PBR protection essentially begins at formal acceptance of the application when provisional protection is provided, and extends for 20 years for most plant varieties from the date of grant (not filing) of the PBR. Again, trees and vines are treated differently, and are eligible for up to 25 years of protection from the date of grant. Finally, Australian plant breeder’s rights legislation also provides protection for the name of a protected variety for the life the PBR registration. Until recently, it was difficult to obtain patent protection for subject matter relating to cannabis plants, since under the Patents Act 1990, a patent may not be granted for subject matter that would be contrary to law. However, due to the recent changes to the law relating to the use of medicinal cannabis in Australia, patents relating to cannabis-related subject matter may now be granted since it can be argued that there is a legal use for the invention. In relation to plant breeder’s rights, there are no barriers under PBR legislation preventing protection for cannabis plant varieties. However, the requirement to prove DUS through field trial data would require obtaining a special license under the Narcotic Drugs Amendment Act 2016 if the field trials are held in Australia. Businesses seeking to capitalise on the booming cannabis market in Australia currently need to negotiate complex legislative and regulatory hurdles before they can establish their business, whether it be in relation to import and export of cannabis related products or production on site. During this process, appropriate management of your intellectual property is crucial for your success. At Shelston IP, our Agribusiness team includes patent attorneys with industry experience in Agribiotech and plant-based patents, trade mark attorneys, design right attorneys, litigators and PBR Qualified Persons, and is uniquely positioned to offer strategic advice help you achieve your business goals. Shelston IP is helping agriculture and food businesses, farmers, plant breeders and research organisations to unlock the value of their innovations and find opportunities in the growing Agribusiness space. Our clients include some of the world’s largest providers of agricultural and food products, specialist agricultural biotech companies, grain handlers, plant breeders, seed producers, chemical suppliers, and government-owned research organisations. If you have any questions or require advice in relation to any aspect of your intellectual property, do not hesitate to contact us.